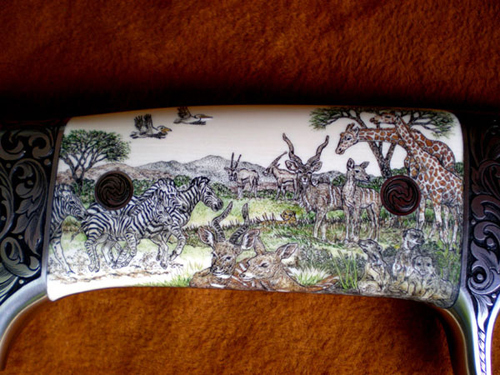 Here is the right side of the Edmund Davidson “African Big Five” knife. (I would call this full coverage.) Exhibiting the diversity of the African continent, it has at least 18 critters of various species.